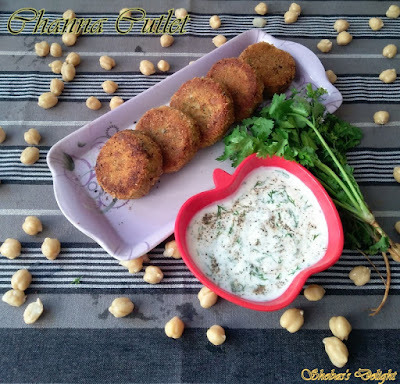 A very easy and simple snack item which is healthy too as it is made up of Chana. 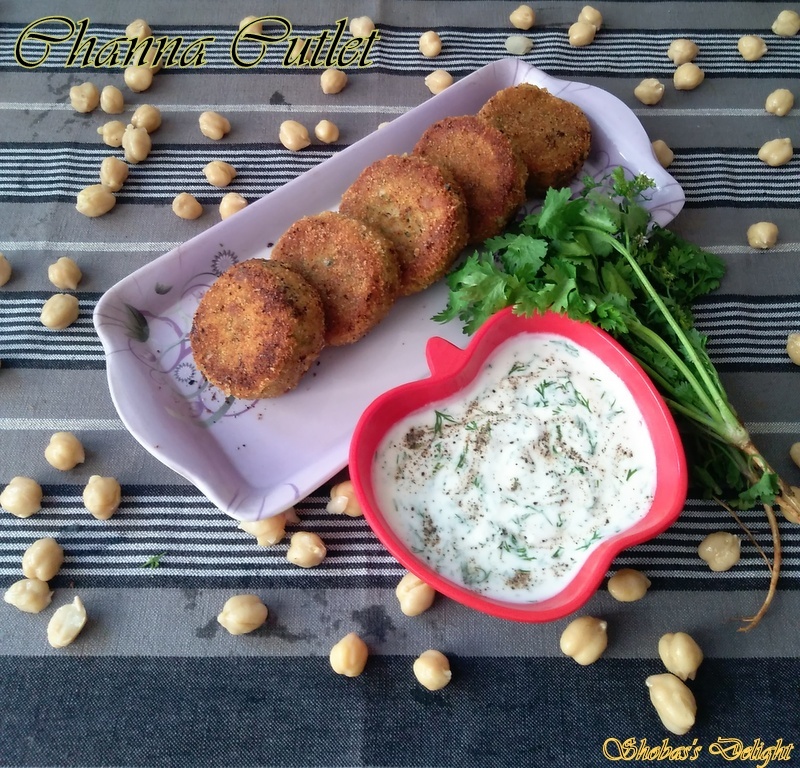 If you have soaked & boiled Chickpeas / Garbanzo Beans in hand, these cutlets can make the best lunch or dinner option or a filling tea time snack. This is also a very healthy option for kids who don’t like to eat pulses. Actually this June month Shhhh Secretly cookingchallenge has selected the topic “Fried snacks “for Ramadan. Hope all are having a good time with fried varieties at home. My June partner Anu Kollon gave me two secret ingredient Chickpeas and coriander and I have planned for Cutlet to pack for my kids snack box. Thank you dear for giving me a wonderful ingredient. Normally cutlets involve using potatoes to get the right consistency to shape them. While we are always on the look out to eat healthy meals at home that have the right amount of proteins & vegetables & at the same time satisfy our need to have tasty meals, these chickpea cutlets always come to our rescue. Red chili powder -1 tbsp. 1. 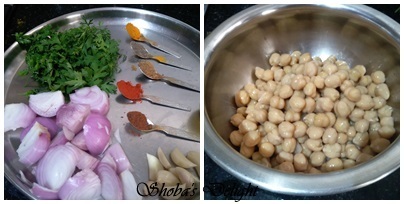 Soak the Kabuli Chana for 6-7hours or overnight. In a big bowl, take boiled chickpeas & mash it nicely. 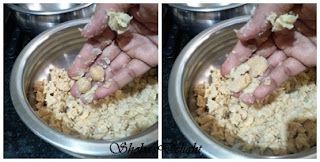 Mash the boiled Kabuli Chana well. 2. Make sure there is not much water in it else consistency will be mushy. 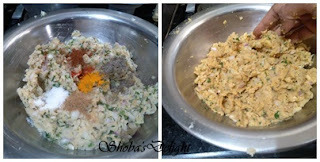 Add chopped onions, green chilies and coriander leaves and the remaining spices. 3. 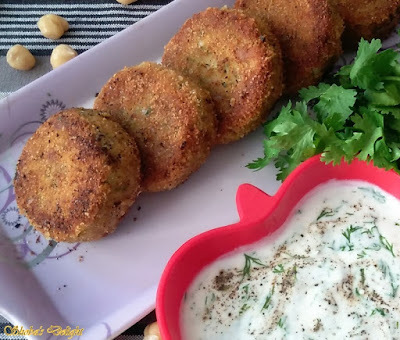 Add maida to get the right consistency to shape the cutlets. Slight wet the cutlets with water in your hands and roll them with bread crumbs. 1. Take a non-stick pan; put few drops of oil, clean it well with a kitchen tissue paper or a cloth or half potato. 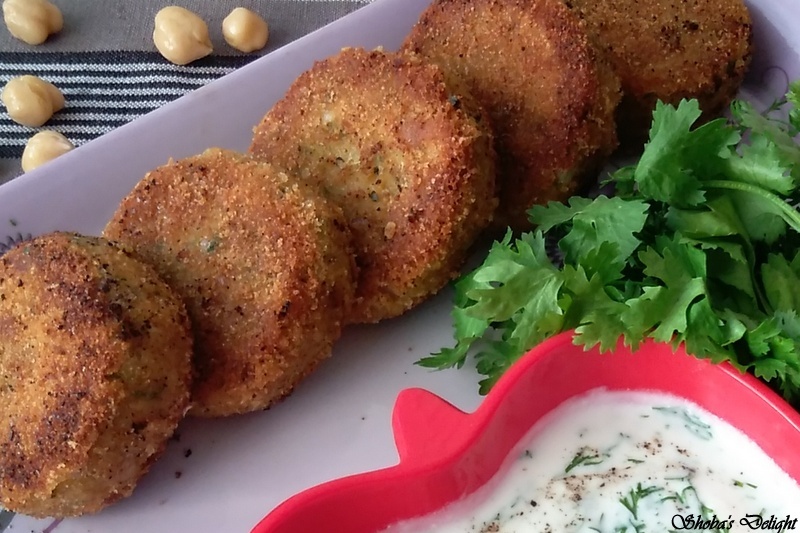 Pour few drops of oil & cook the tikkis / cutlets on a medium flame. 2. Keep an eye & flip them once slightly brown on one side. Cook on both the sides till crisp. Serve hot cutlets at tea-time with tomato ketchup :) serve hot with ketchup & green chutney (mint / coriander) or a curd dip. Lemon juice and Amchur powder gives nice tangy flavor to the cutlets. You can vary them accordingly.Bread crumbs can be used to bind the cutlets. I also make the same cutlets using paneer instead of potatoes. In that case, paneer should be also one cup (grated).